Margie Lynch is a human resources executive with more than 25 years’ Fortune 500 experience. Her areas of expertise include large-scale HR implementations (in companies with as many as 200,000 employees), M&A, compensation, payroll, and benefit implementation, training and leadership development, engagement and recognition programs, talent management, organizational development and assessments, culture and change management, budget oversight, team leadership and P&L responsibility. A highly strategic leader in the corporate sector, Margie is also accomplished as a university instructor, having taught Principles of Management to business students at St. Catherine University. In the boardroom and classroom alike, Margie’s teaching-training philosophy is to apply relevant, real-world business scenarios to foster individual development and realize group learning objectives. High ratings from both students and staff prove the value of her approach. Currently, as Vice President of Human Resources at Ritchie Bros., Margie leads the U.S. and Mexico HR function, and has responsibility for global diversity and inclusion. She has played an integral role in the integration of several acquired companies, implemented talent management and leadership development programs, and executed culture change, change management and communications strategies. Prior to Ritchie Bros., Margie held several executive-level HR positions. Among her roles, she was Senior Vice President of Human Resources at Follett Higher Education Group; VP, Human Resources at OfficeMax; Divisional VP, Human Resources at Sears Holdings; VP, Talent Management at Nash Finch; Director of HR and Corporate Leadership Development at SUPERVALU; and Executive Coach at Journey Bound Coaching, a company that Margie founded. A one-time Board Member at Global Women’s Leadership Forum, Margie is a proven leader in the twin fields of human resources and organizational development. She holds professional certificates in multiple areas of HR, leadership, coaching and professional assessments. 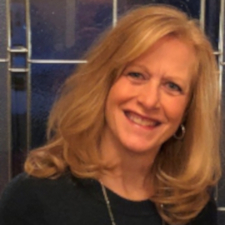 Margie holds a BA in Applied Behavioral Science from National-Louis University and an MA in Organizational Leadership from George Fox University.